‘pay what you can afford’? We know we have a great course here. We’ve had students go through it and complete their memoirs — stories they are so proud of. Some of them had been trying to write their memoir for years. Our course gave them the final push they needed to get their thoughts together and get their stories over the line. When we started out, we put a price on the course. It was affordable, sure, but it was still a price. As time went on, we realised this: we had started out just wanting to help people tell their stories. Maybe, we were putting financial gain over the original intention of the material. That’s why we’ve taken the cost away and made it into a ‘pay what you can afford’ course. It’s not that we don’t value what we’ve created here. It’s not that we don’t know our worth. It’s the opposite. We know exactly what we’ve created, and just how much it’s worth. We know what we’re putting out into the world. We know what it’s worth to you to have the tools to write your story and share your life and your lessons with others. And don’t worry… our standard refund clause still applies. It’s a no risk course. 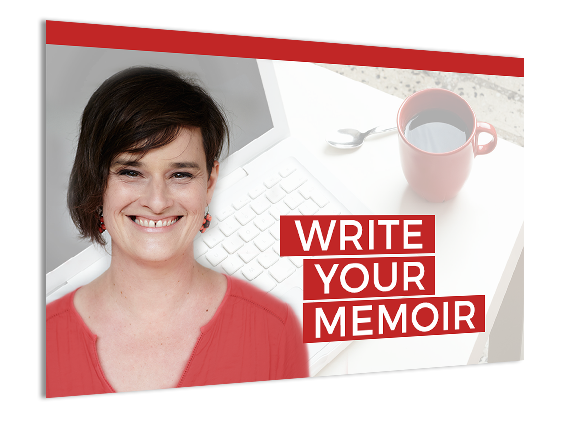 If within two weeks of receiving your last lesson in the last module, you really think this course just isn't for you, or you're not any better equipped to write your memoir, we'll refund your money. We’re big believers in the principle: what you sow, you reap. What you put into the world, you get back. Sure, we’re taking a risk: maybe people will rip us off. But from what we know of writers — people like you — you’re a good bunch. You’ll pay what you can afford, and then one day, you’ll pay it forward, and share generously with those around you. Ready to write? Let’s do this together.